Spectacles create excitement. Experiencing the excitement of spectacle used to be reserved for such moments as the circus’s annual appearance, bringing elephants, lions and clowns. Or it happened on the rare occasion of a World’s Fair, which was considered one of the most exciting events to visit a place in a lifetime. 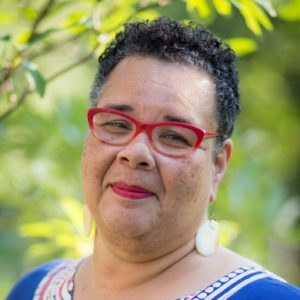 Now, we live in a world where spectacles are available to be viewed or participated in on a daily basis. Bigger-than-life stories flood the internet. Our senses and sensitivities are bombarded through the 24-hour news cycle. Personal participation in social media keeps our imaginations revved-up and our cell phone cameras at the ready. Movies and video games have special effects so keen you think you are inside the action. Virtual reality headsets invite persons to meet up with friends from around the world at live sports, concerts, or just to watch a favorite TV show together. We can now, on a daily basis, dial-into excitement. In comparison, our classrooms, filled with lectures, discussions and the occasional field trip seem humdrum, ho-hum–just plain boring. 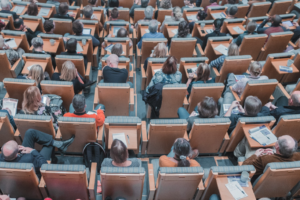 Even our on-line courses typically replicate the patterns and learning modes of brick-and-mortar classrooms inviting adult learners into lecture and discussion in digital classrooms. We merely recreate a digital version of incarnate passivity. The change in season from winter to spring usually helps make the semester seem longer and more boring. 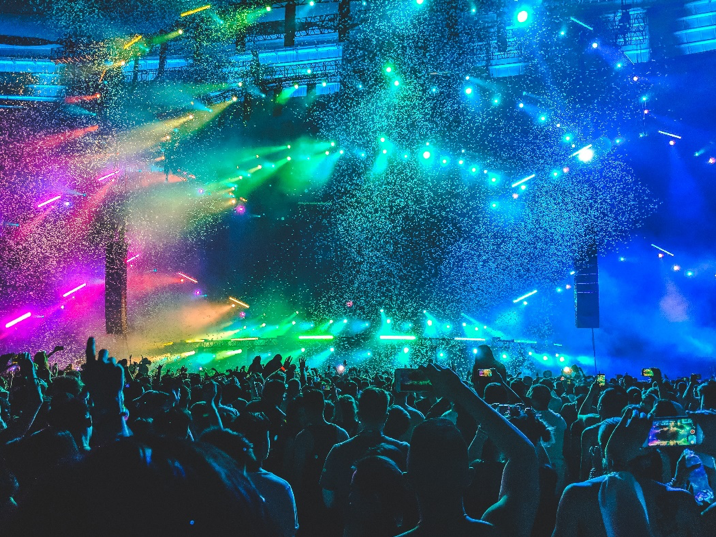 By April in the spring semester, we are not close enough to the end of school year for a sprint to the end, and we are too far from the beginning to still be eager and anticipatory. It is a dangerous moment in the semester that could, if not tended to, derail the best course. Since there is no calendared spectacle, and since mid-semester is a low energy moment in our community, I planned something that I thought would be EXCITING. I planned something I thought would wake up, shake up, and get learning juices flowing. I invited renowned jazz musician, Victor Wooten to our campus to teach and give a concert! 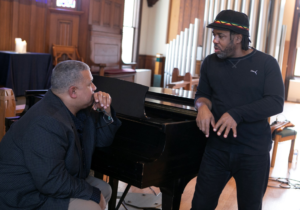 It is a worthwhile question to ask–“How did you get five time Grammy Award winning Victor Wooten to teach an entire day at Drew Theological Seminary, and do a concert?” Our day of teaching and conversation with Victor Wooten had everything to do with his graciousness and accessibility. Victor is a humble and kind soul. It also had everything to do with my want to make learning exciting–to create a spectacle of teaching–at least for one day. Armed with a grant from the Luce Foundation, I described my want to my colleague and friend Paul Myhre at Wabash Center. Paul is an amateur bass player and lover of jazz. I asked if he knew anyone to recommend who understands their artistry as a vehicle for social good and who would bring excitement to our community. He said the perfect artist would be jazz musician, Victor Wooten. Paul said that what distinguished Wooten, for our purposes, was his book The Music Lesson: A Spiritual Search For Growth Through Music. I was intrigued. I said, “Ok, but how would we get him? I can’t just cold-call Victor Wooten.” Paul said, “Victor is on Facebook!” Then he simply reached out to him. In less than five minutes, Victor replied to Paul and provided his manager’s name and contact information. I called Wooten’s manager and the rest is history! 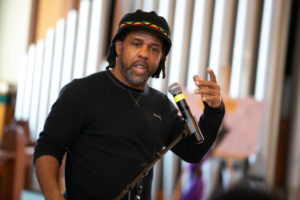 On March 20, Victor Wooten re-energized and re-inspirited our Drew University community. It was a spectacle of the best kind. In preparation for our day with Victor Wooten, the faculty read and assigned many courses to read The Music Lesson, published in 2006. The book is a fictional account of how Victor learned to play the bass better. While talking with our faculty at brunch, Victor said about writing the book, “I wanted to write a book that would allow me talk about my particular approach to music theory and freedom without having then to defend my approach. It took me a long time to figure out the way to write it was as fiction. Since it is fiction, people read my story, enjoy the characters and get my meaning. 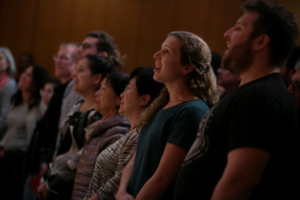 If they do not like the story, they do not attack my music theory because it is my story.” Several faculty persons reported to Victor how much our seminary students resonated with his book and teaching philosophy. Students, even those who know little about music, were strengthened by the liberative pedagogy and life lessons woven into the book. The first of two classes Victor taught after brunch was an undergraduate Music Theory class. He talked with the students about the meaning of the musical term “key” and explained techniques for a better, more agile understanding of keys and key changes. A student asked Victor how to avoid writer’s block. Victor told a story which illustrated that the way to overcome writer’s block is to write as many “bad” songs as you can in order to get to the “good” songs. The second class of the day was Prof. Mark Miller’s Musics of the World course. Victor delved deeply into his book, answered questions about such things as the meaning of mistake making, what it means to hear music all the time, and the spiritual journey of becoming such an accomplished musician. 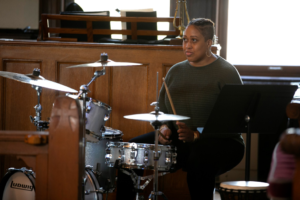 A highlight of the session was Victor’s conversation with Tiffani Wheatlley, a first year student who said her sons were taking drum lessons and she wanted to learn to play. Victor brought her to the drums. With a few instructions and coaching, Tiffani played along with Victor Wooten and Mark Miller–and it sounded great! It was a pleasure to watch Victor’s lessons on teaching be embodied, enacted, and demonstrated before our very eyes. The evening concert was magical. Mark Miller played the opening number on piano, then Victor–now at home in our community–joined in. Wooten continued wowing the crowd with both jazz, blues, and gospel pieces. 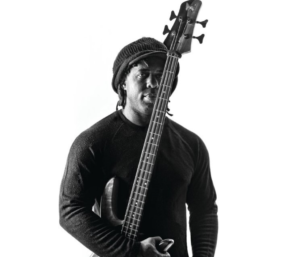 After an hour or so of solo bass performing, Victor announced “a friend is joining me on stage.” That friend was faculty member Elias Ortega-Aponte, who accompanied Wooten on the Cajón. The next faculty person to join Wooten on stage was me! At some point in our day-long conversation, Victor asked me if I played an instrument. I have been asked this question hardly ever in my life. My answer is one that usually is unsatisfying to the asking person because I play the didjeridoo–and few people know what that is. When I responded to Victor–he of course knew what a didjeridoo was, and instructed me that I was going to play with him in the concert that night. OMG! During sound check, Victor listened to me play, announced that my didjeridoo was in the key of “D” and asked what song we should play together. I looked at Mark. He said “Wade in the Water.” Victor said–“Good, we’ll do that.” When we finished playing the piece during the concert the audience erupted! 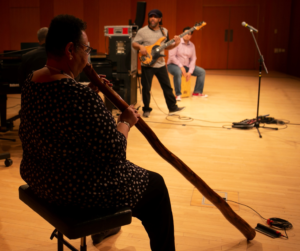 Just imagine–the very first time I play my didjeridoo in concert and it is with renowned musician Victor Wooten! The finale of the concert was an original arrangement which moshed-together the two songs “Halleluiah” and “Amazing Grace.” An improvisational genius, Victor led his band, composed of Drew musicians and the audience, to the highest heights. The piece was magnificent. The audience, rising to their feet to sing along with the moving and soulful rendition, cheered wildly at the end. The day of teaching and performing ended in typical gracious Wooten style. Victor lingered more than an hour after the concert signing books and CDs, taking pictures and talking with students, faculty, and fans. It was an historic day of joyous excitement and improvisational learning!